Tony Hicks is one of Australia’s most adventurous saxophonists and woodwind artists. He has performed with international superstars Frank Sinatra and Stevie Wonder, American jazz musicians Billy Cobham and Randy Brecker, worked in over 80 professional musical productions and in numerous TV bands and recording projects. 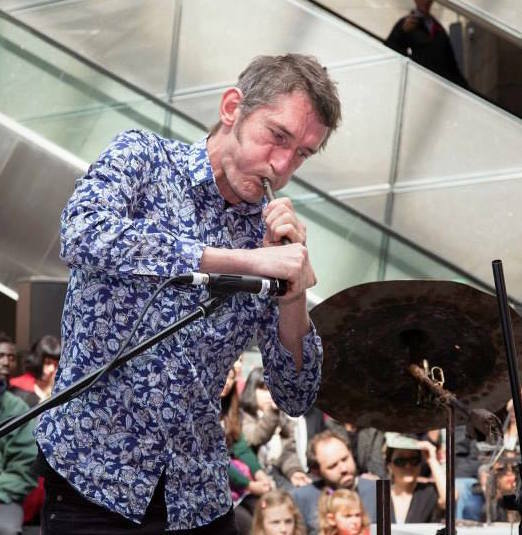 He plays with the Melbourne Ska Orchestra and the Monash Art Ensemble, and the Australian Art Orchestra and regularly collaborates in free improvisation projects within Melbourne’s rich creative music scene, including Dan Sheehan’s Infinite Ape, Sam McAuliffe’s Through a Glass Darkly, and Ren Walters’s Current. His project Inside Outside 1 2 3 is a band, a composition that explores improvising with serialist musical materials, and an event that places artists from different creative mediums within the improvised music space.